Kay Parris Magnolia is a newer release. 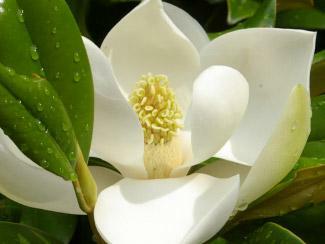 It is a beautiful dense tree with small gloosy dark green leaves, with a distinctive brown velvet underside.Kay Parris Magnolia produces creamy white fragrent flowers in May. This is great plant to use as a screening plant because it is fast growing. 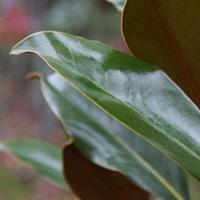 Kay Parris is a cultivar of the Magnolia grandiflora family. Tolerances : Performs best in part shade, and particularly tolerates polluted city atmospheres. 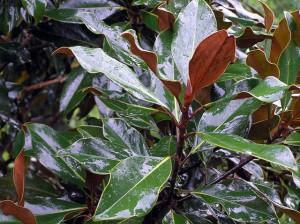 Kay Parris Magnolisa prefer well-drained soils. Landscape Use : These are great selections for use as a feature tree sue to size, shape, seasonal colour or knock-out attractiveness. This variety is also appropriate for using as an evergreen screen.